Here is the perfect accessory for your SnapBagger debris collections system. It is designed for use in areas where paper bags, trash cans, or other containers are used to collect leave and debris. 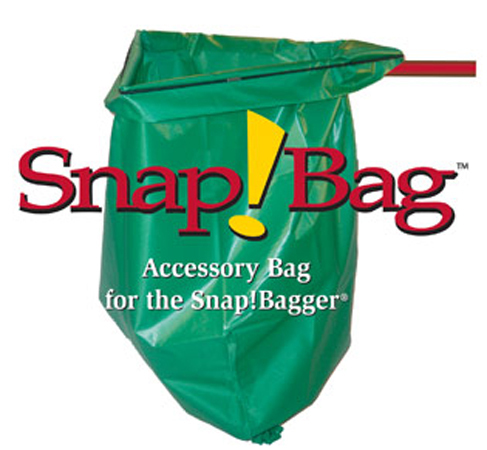 This nylon bag fits over the SnapBagger frame. Collect your leaves or other debris as normal. Then hold the filled SnapBag over the other container and release the bottom opening allowing the leaves or debris to fall effortlessly and cleanly into the storage bag or trash can.